The last of the great Square Soft Final Fantasies.. I know that this technically was not supposed to start until October but once I found out the topic this article wrote itself XD. This week the theme of TAY is music in games and not just game music you like but the music that shaped your game play experience. 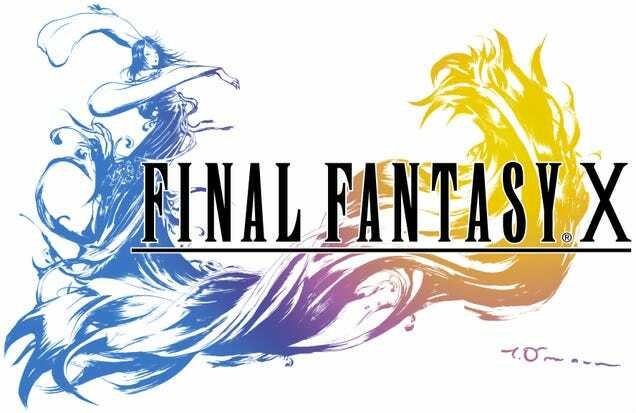 There are numerous themes that come to mind when I think of my favorite games but it almost always comes back to the Final Fantasy (FF) series. I’m not sure if it’s because I spent so much time dungeon and level grinding that I became familiar with the tracks but back in the day, Final Fantasy games were an experience. I know Z is waiting to come in here and rain on my parade if I would have chosen Final Fantasy 8 (FF8) as my musical choice (j/k Zarnyx :p) but alas, the honor actual goes to Final Fantasy 10. Final Fantasy 10 was originally released in 2001 but a few years before that, they had a launch site that I would frequent to get any new information on the game. Most of the FF games had scores written by Nobuo Uematsu and this one was no different. It was on the launch website that I became familiar with what is now one of my favorite tracks, Wandering Flames. It was haunting, it was visceral, it had the same effect that the FF8 opening song had on me. I was already intrigued and ready to play. After the story progresses more, you find out Spira is not all rainbows and sunshine. The player discovers that Yuna, the main female protagonist, and the Summoners are the “grim reapers” of Spira. They are in charge of ushering souls to the Farplane so they don’t become the fiends you have been fighting. Summoners also have to put down the overworld threat called Sin. (So much for colorful and bubbly). Nothing illustrates this point more poignantly that the first Sending the player encounters. Even the main protagonist, Tidus, was impressed but haunted by Yuna’s ceremonial dance and I can remember my heart clenching as tears came to my eyes. Moving a little further along, players journey with Yuna to each of the temples to gain the power of Aeons that fight alongside Summoners. You find out later what or whom the Aeons actually are but regardless, each temple is playing the Hymn of the Fayth in the background. Soon players will be able to sing it on command in its many iterations. As the story unfolds, the hymn becomes more and more haunting. The journey continues, more heartbreaking things are revealed, but I remembered that this was also a love story. This becomes evident at a time in the narrative where everything Yuna believed to be true in her role as a Summoner was proven false and she leans on Tidus for comfort and support. The song is called Suteki Da Ne and it is beautiful. They actually kept this song in Japanese for the English version and it was the best choice in my opinion as well as visually impressive scene. One of the last songs that put the nail in the coffin for me with FF10 was the Mt. Gagazet theme. Summoners have to travel through the mountain on their pilgrimage but as it nears the end of the journey, the ominous reality that the Summoner must sacrifice themselves to save Spira becomes evident through the music. Going through Mt. Gagazet also meant passing through the territory of the Ronso Tribe, who are the guardians of the mountain and the native tribe of Khimari. Players learned earlier that Khimari was a small Ronso with a broken horn that is a sign of weakness in his tribe. The heaviness of returning to a place with strong memories for this character as well as Khimari’s dedication to Yuna and her cause were evident here. Bonus track time, I’m going to include my favorite version of this song as well which is Final Fantasy Goes Rock- Mt. Gagazet performed by Husky By the Geek. And truly the last song that I will share is the Victory Fanfare Theme for FF10. It’s not an FF game without it right? I hope you enjoyed through Final Fantasy 10 with me. What were some of your favorite songs for this game if you have them? What feelings did you get when you played? Let me know in the comments. Pssst TAYer, just because I started the theme early doesn’t mean its too late for you. Check here for details on the Theme of the Week and don’t be afraid to participate. We are here to support you. Edited on 10/11/16 Due to some grammar errors. Will probably be edited again later for the same reason lol. Thanks to the comments that pointed it out. Image: All FF10 images are owned by Square Enix and not by me. Music: All Final Fantasy 10 music is owned by Square Enix and its composers and not by me. Lover of anime, JRPGs and traditional turn based combat, I, Drea Poetic am here for your blog needs. You can follow me @Drea_Poetic04 on Twitter or join me in the TAY Discord with your fellow TAYers.